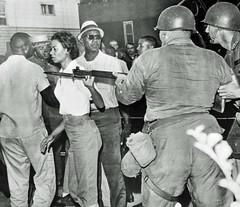 Gloria Richardson, leader of the Cambridge movement, 1963-64. “Down here on the Shore, where in the past the only time whites ever visited a jail in connection with a colored prisoner was to lynch him, a group of white strikers went to a jail and made police turn a colored striker loose.”—William N. Jones, 1937, Baltimore Afro-American newspaper. 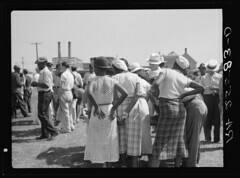 A strike by hundreds of workers at the Phillips Packing Company in Cambridge, Maryland in June 1937 brought hope to the struggle for racial and economic justice in an area where African Americans were subjected to worst aspects of Jim Crow and unions were to be crushed mercilessly. Jones wasn’t exaggerating. 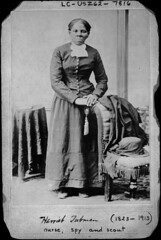 Maryland’s Eastern Shore had been a slave labor, plantation-based economy before the Civil War and Jim Crow afterwards. At the time of the strike, the brutal lynching of Matthew Williams in Salisbury in 1931 and George Armwood in Princess Anne in 1933 had just occurred a few years earlier. The two-year legal battle of Euel Lee, also known as “Orphan Jones,” involved an attempting lynching at Snow Hill and ended with the legal lynching (no African Americans served on his jury) of Lee in 1933. Jim Crow kept workers divided and helped keep wages on the Shore low. When challenged, racist leaders used terror to keep workers divided. 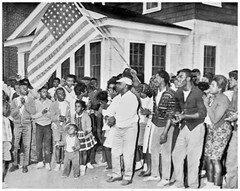 In 1931, a September strike by 800 predominantly African American crab pickets in Crisfield was supported by predominantly white oyster shuckers–showing the potential for unity. The racist leaders on the Shore got their opportunity to send a message about standing up for higher wages in December. In the official version of the story, Matthew Williams allegedly shot his white employer in Salisbury in a dispute over wages, wounding himself during the altercation. While there was a more plausible explanation that involved the employer’s son doing the shooting, this mattered little. 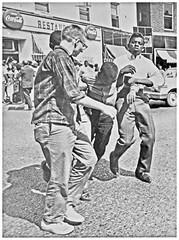 Williams was dragged from dragged from his hospital bed and brutally lynched in front of the courthouse in front of a crowd of 2,000. Body parts were cut from him as souvenirs. His dead body was later dragged through the street by a rope and his body set afire. 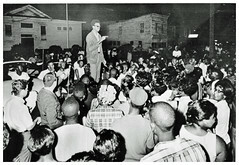 What remained of his charred corpse was hung from a lamp pole in an African American section of town as a warning. 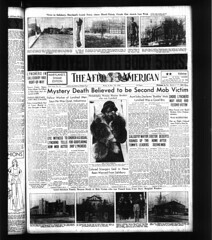 Once again, in the official story, Green Davis and his family were slain in Taylorville in 1931 in an alleged dispute over wages. 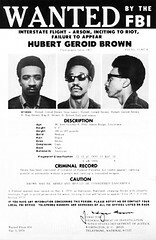 Euel Lee, an African American who worked for Davis was arrested. 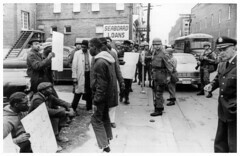 White International Labor Defense attorney Bernard Ades and companions were beaten outside the courthouse in Snow Hill when a white mob couldn’t get their hands on Lee. Despite Ades’ efforts in winning a precedent-setting Maryland retrial based on exclusion of African Americans from juries, Lee was hanged in Baltimore October 28, 1933. 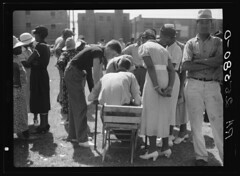 However, barbaric, racially motivated violence wasn’t the only force in play in the middle of the Great Depression. 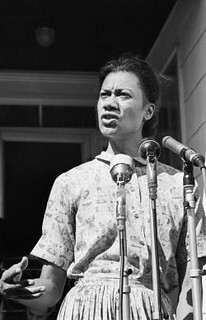 New unions that ultimately became the Congress of Industrial Organizations (CIO) were organizing workers into single industrial unions of all races and sexes–not along the craft lines of most unions affiliated with the American Federation of Labor (AFL), where African Americans and women were often excluded. The new unions were also winning wage gains from employers. In 1937, a single employer, the Phillips Packing Company that employed over 2,000 workers canning vegetables grown on local farms, dominated Cambridge. 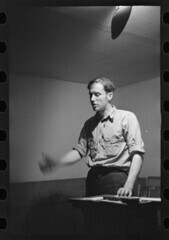 The CIO, through the United Cannery, Agricultural, Packing & Allied Workers, headed locally by Leif Dahl, had begun to organize the plant covertly and at least one organizer had obtained work at the plant. The Cannery union was a recent arrival on the shore, but was already well known to workers for its attempts to organize migratory field workers and seafood workers. On the evening of June 23, 1937, a relatively small number of workers at the can-making factory within the massive Phillips plant struck after the company announced plans to reduce the workforce. The strike quickly spread to the rest of the workforce that was engaged in packing. That night, a crowd of 1,000 marched through the streets rallying support and overturning trucks carrying vegetables. 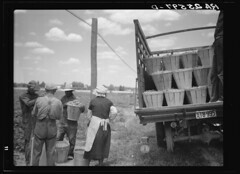 The workers were majority African American with a substantial minority of whites. For the first few days of the strike they convinced migratory bean pickers who were destitute and lived in farmer provided shanties to join the strike. 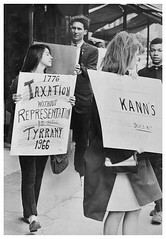 A woman, possibly Anna Neary, speaks to a crowd of strikers. 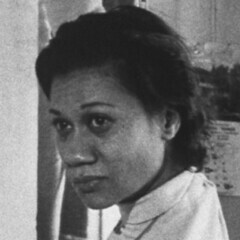 The next day on June 24, Anna Neary (the only high-ranking female AFL organizer) appeared and the company president Albanus Phillips opened negotiations with her and concluded a quick agreement that included a relatively small 10% wage increase and the recognition of the AFL union. Many CIO supporters believed that the company had invited the AFL to undercut them and that the wage increase was too small. At a mass meeting, the proposal was voted down. 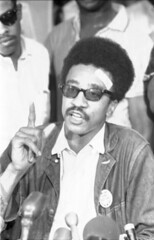 That night, 1,000 predominantly white strikers and their supporters gathered at the jail to demand the release of James “Midnight” McKnight who had been arrested earlier in the day during a confrontation with truck drivers. McKnight was charged with disorderly conduct after a trucker was hit with a rock. 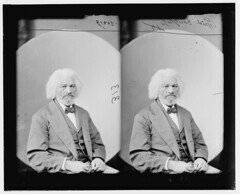 The sheriff, confronted with the likelihood of more violence, released McKnight on the promise of the strikers to refrain from more violence that night. It was probably the only instance of a predominantly white crowd marching on a jail to free (and not lynch) an African American south of the Mason Dixon line since Reconstruction. The victory, however, was short-lived. On the following day of June 25, John Cephas, an African-American, was killed by a truck loaded with vegetables that swerved and struck him beside a road near the plant. Cephas was an occasional worker at the plant who had come out to support the strikers. 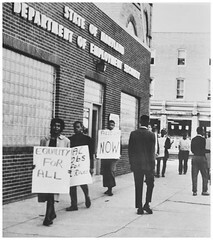 Over the next few days, the strikers tried to rally support, enlisting favorable merchants and closing the stores of those opposed the strike. By June 30, the strike was beginning to falter. When police arrested one of the strikers, a crowd of only 200 was mustered at the local police station and held back by a dozen local policemen. The strikers eventually raised enough bail money to get him out. Meetings were attended by less than 300. The AFL tried to set up a number of different unions—for cannery workers, truck drivers and packing workers—further dividing workers. Neary claimed to the company that she could settle the strike without a vote by workers and would accept the previous offer of a 10% increase. Phillips rejected Neary’s offer and violence increased. 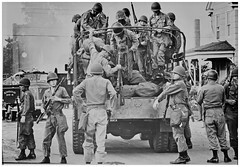 Strikers stoned trucks and guards fired on the strikers, wounding James Powell. 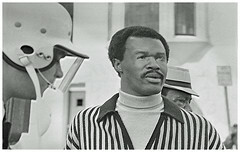 Police then arrested Powell. 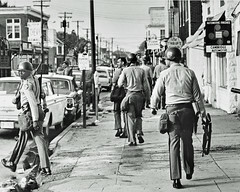 Strikers also clashed with police who broke up their picket line. One striker, James Roberts, suffered a three-inch gash from a police club. Several more strikers were arrested. Phillips, through a Merchants Association, set up a company union called the Cambridge Workers Association. He quickly recognized the bogus union and “settled” the strike for the original offer of 10%. A quick trial of Powell, the striker who was shot, resulted in a 12-month jail sentence for Powell. 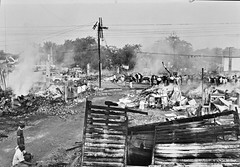 The strike began to crumble and Phillips re-opened some of the plant. Phillips filed suit against the town for damages as a result of the strike. By July 9, the strike was over. A number of strikers were sentenced to jail by the local courts. The AFL and CIO settled their differences over the Phillips plant in the aftermath of the strike with the CIO taking jurisdiction over the packing house workers while the AFL accepted truck drivers. The National Labor Relations Board twice ruled against Phillips’ company union and ordered several strikers reinstated, but the cause was lost. 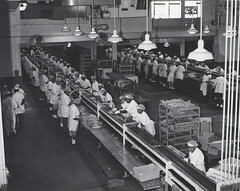 The CIO Cannery union lost a final close vote in 1947 to the company union at a time when the Cannery union was accused of communist leadership. The company-inspired union continued to “represent” the workers and acted as a hiring hall and helped to screen out workers who may try to organize a union that would act more forcefully. The Phillips Company continued to dominate Cambridge until the mid 1950s when the company began to layoff workers. The company was sold to Consolidate Foods in 1957. 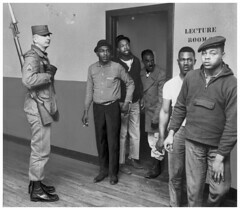 The United Packinghouse Workers finally broke into non-union Cambridge when it organized the Coastal Food Plant in the 1960s when local civil rights activists led by Gloria Richardson joined their efforts. 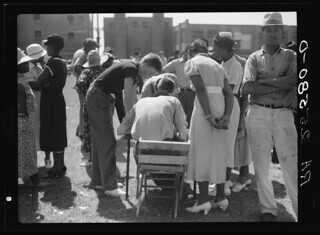 The CIO organizing drives of the 1930s provided hope to thousands of workers on the Shore, both black and white. 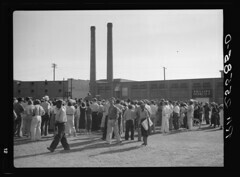 The defeat at the Phillips Packing Co., however, insured that any organizing would not fundamentally challenge Jim Crow. 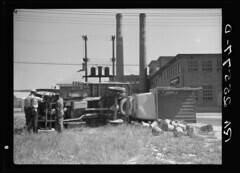 Today little remains of the packing industry in Cambridge, Maryland. Visiting the site of this great failed strike requires a bit of imagination. 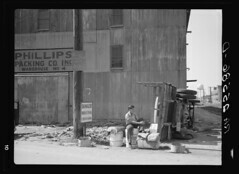 Phillips Packing Co. 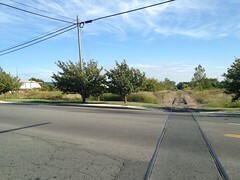 Factory B occupied the upper left corner of the intersection of Washington St & these tracks in Cambridge, Md. 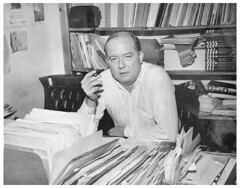 In 1965, Factory B and a number of other buildings burned, leaving only a small administrative office that still stands today and is occupied by the Coastal Gunite Construction Company at 16 Washington Street (across the street from a Wawa). 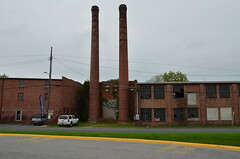 The massive Phillips complex that was composed of several dozen buildings is now reduced to the administrative office and Building F on Dorchester Street (the building next to Packing House Antique Mall and a small vacant building where two smokestacks still stand. Also standing is some of the boiler building and a smokestack across the railroad tracks behind Building F.